Michael Bennett plans to visit Israel soon, but only if Palestinian people aren’t rendered invisible. The Seattle Seahawks’ Michael Bennett’s has announced that he will no longer join an NFL delegation to Israel. His decision has set off a media frenzy and appears to have inspired at least one other player to walk away from the tour as well. 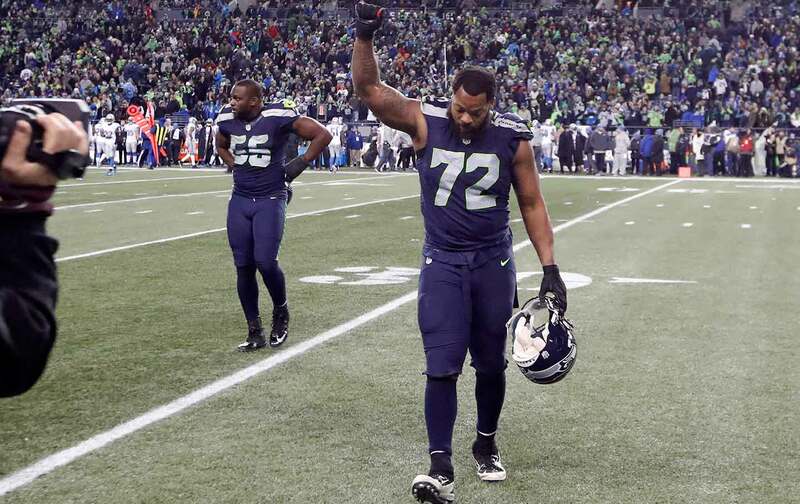 The move is not surprising, considering Michael Bennett’s commitment to social justice and black empowerment. As he says, “I’ll be done playing football some day, but I’ll be black forever.” He counts people like Muhammad Ali, John Carlos, and Angela Davis among his heroes. He sees himself as someone trying to build upon their history of both athlete activism and informed resistance. I feel like if I die and the only thing that people talk about is the Pro Bowls the Super Bowl championship, I feel that people are discrediting me as a person, because at the end of the day, I want my legacy to be what I did in the community. What did people see? Was he a man of his word? Was he the type of man that when he said he did something, he’d go out and do it? That’s the kind of person I want to be remembered as. To me, records are going to be broken, but the legacy you leave, it can’t be broken because it’s the truth, it’s the foundation, it’s me.